We are Independent Experts for Havarie (Ship/Yacht Damage), Valuation, Vessel Condition, Management and Court Expert Witness and litigation support. 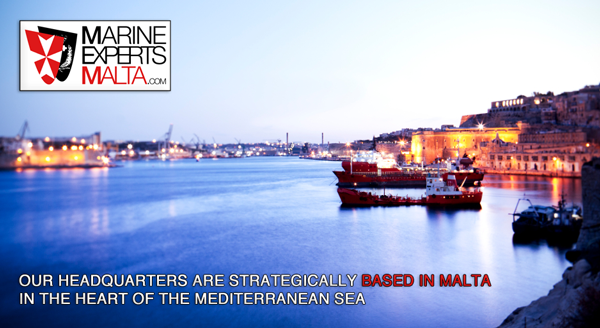 Our Headquarters are strategically based in Valletta, Malta, in the heart of the Mediterranean Sea; where we work hand in hand with our Independent, Private and Corporate clients, providing them with an in-depth knowledge of their needs and requirements in the fields of Yacht/Ship Surveying, Project/Operational Yacht/Ship Management, and Shipyard Refit. Your First Choice in the Mediterranean: Marine Experts Malta Ltd.
Our yacht-services include: Salvage, Arbitration, Expert Witness, Engine surveys, Oil analysis of machinery, Compression testing for gas engines, Galvanic and Stray current corrosion testing, Ultrasonic testing, Moisture meter testing, and well as other non-destructive tests. There may be additional charges for these and other services depending on the Survey requirements. Our Professional Team of Independent, International Yacht experts provide advice based on over 35 years of experience, knowledge and know how, to Private and Corporate Ship/Yacht owners, Banks, Financial Institutions, Insurance and Charter Companies. We speak english! Hablamos castellano! Noi parliamo italiano! Nous parlons francais!